Betsy Hilfiger, fashion designer Tommy Hilfiger's sister, never had reason to believe she was at risk for pancreatic cancer. Trained as a nurse, she was well aware of the illness and its known risk factors—smoking and heredity among others. The Hilfigers had some cancer in their family, but none of the cancer syndromes associated with pancreatic cancer or pancreatic cancer itself. At the age of 52, Betsy was a healthy mother of two. The picture became complicated when a routine battery of bloodwork showing abnormalities in her liver enzymes led Betsy to pursue an evaluation by a gastroenterologist. Additional tests revealed mucus cell cysts (or IPMN) on Betsy's pancreas. While mucus cell cysts are initially benign, if left alone they almost always become malignant. Betsy says her reaction to the news was disbelief, "It took time to sink in. I was in shock." After receiving the diagnosis, she visited three additional gastroenterologists. "I kept on thinking they were wrong. Even my mom, who was a nurse, couldn't believe it, saying 'You don't have any symptoms, so how could you have a pancreatic disorder?'" Despite her disbelief, Betsy knew she needed to visit a surgeon. Two people she knew recommended Dr. John Chabot at the Pancreas Center. Betsy made an appointment and visited the center for a consultation. After reviewing her case, Dr. Chabot recommended prophylactic surgery to remove her pancreas. Still in shock, Betsy did extensive research and had second opinion consultations with additional surgeons. "Even then, I was in denial," she says. "I was still hoping part of my pancreas could be saved." Unfortunately, Betsy was not eligible for partial removal, because the entire inside of her pancreas was covered with mucus cysts. In the end, all of the surgeons she consulted agreed with Dr. Chabot's recommendation. 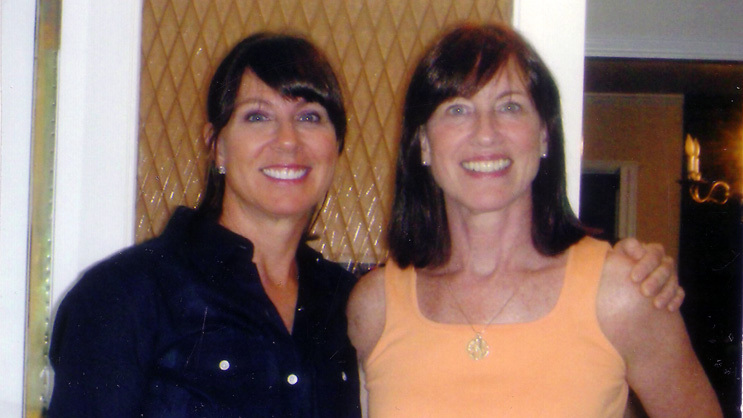 Faced with the prospect of pancreatic cancer, Betsy made her decision. She would undergo surgery to remove her pancreas. To help ease her transition, the Pancreas Center referred Betsy to additional specialists at Columbia University Medical Center, among them Dr. Robin Goland, co-director of the Naomi Berrie Diabetes Center. In meeting with Dr. Goland, Betsy became more confident about her future. "Dr. Goland helped a great deal by putting my mind at ease — she is so positive and upbeat that it gave me the confidence to deal with this new challenge," said Betsy. Dr. Chabot also put her in touch with another patient who had undergone a prophylactic pancreas removal, which helped Betsy prepare for the upcoming the changes in her life. Betsy says being a registered nurse helped her handle the expectations for surgery and post-surgery. But knowing from her practice of nursing that digestive problems would result from her procedure, she was frightened as well. "I had taken care of people who'd lost part of their intestines," she says. Now, nearly two years after undergoing surgery, performed by Dr. Chabot in September 2006, Betsy says she is able to manage her diabetes with an insulin pump without too much trouble. She still has difficulty figuring out the appropriate dose of enzymes to take to assist her in digesting the food she eats, a process she says is just as challenging as managing her diabetes, "You have to be diligent, but you can live a healthy life." Today, Betsy works full time as the director of community affairs for Tommy Hilfiger, USA, a position she had held for only four days before receiving her diagnosis. (She resigned from hospital nursing in 1994, working first in pharmaceuticals, and then owning a clothing store before taking her current position at Hilfiger.) In her work, Betsy assists charities relevant to the philanthropic mission of the Tommy Hilfiger Corporate Foundation. Coincidentally, the foundation's philanthropy has long included diabetes-related causes such as the Juvenile Diabetes Research Foundation and Columbia's Naomi Berrie Diabetes Center. Grateful for her good fortune in discovering her precancerous condition when she did, Betsy says she would like to help spread awareness of pancreatic cancer risk so that others can benefit from her experience. "How do you find out if you have risk unless you bump into it my way?" she asks. "My hope is that cancer screening guidelines can be amended," she says firmly. "I would hope to include routine liver enzyme studies or ultrasounds before age 40 in order to catch these things before they have a chance to become pancreatic cancer."